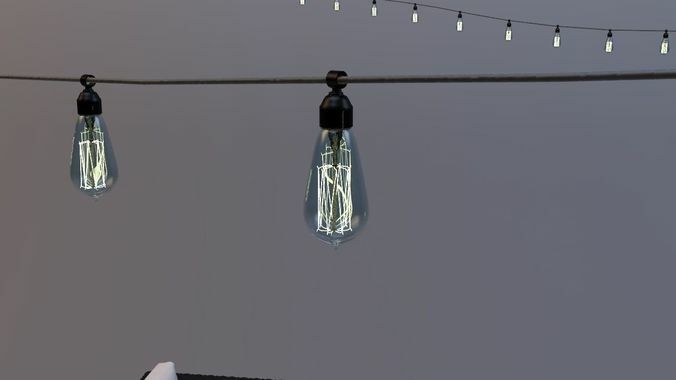 Patio Rope Lights With Edison Style Light Bulb. 12' rope ready to place. glow material is reference, for ease. Note: Patio Furniture shown not part of the this model.